Respect Life Sunday is This Weekend! 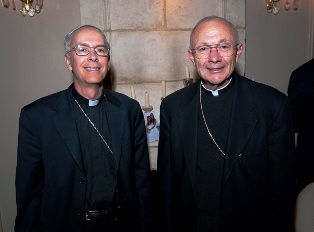 You're Invited to Dinner with the Bishops – Tickets Still Available! Join us for a special Evening with the Bishops on Sunday, October 2, 6 to 9 p.m. Don't miss this unique opportunity to support pro-life ministry and enjoy a glass of wine and a delicious catered buffet dinner with Dallas Auxiliary Bishops Mark Seitz and Doug Deshotel. Ticket price is $35 each. Purchase tickets online here, or call 972-267-LIFE (5433) to place an order. We'll gather at a poolside pavilion on the grounds of a beautiful estate in Frisco, for dining, music, door prizes, an auction, games, and inspirational words from our bishops. Proceeds from this fundraising event will benefit the CPLC's nine life-saving ministries.
. Sponsored by Our Lady of Angels, St. Francis and St. Gabriel parishes. 40 Days for Life Campaign Has Started! Today marks the first day of the 40 Days for Life campaign as Dallas unites in prayer with hundreds of cities worldwide. Last Fall in Dallas, 4,000 people prayed for 960 hours for one thing – to save the precious lives destroyed by abortion – the babies, the parents, the abortion workers and all those touched by this tragedy. Will you stand with us for Life again this Fall? Sign up for a prayer time here. Not sure about praying at an abortion center? Read "What I Learned from Praying in Front of an Abortion Clinic"
In addition to the 24/7 prayer vigil outside an abortion facility, 40 Days for Life also calls on the faithful to proactively educate the community about the tragedy of abortion. 40 Days for Life-Dallas is hosting an Outreach Saturday to share the pro-life message (doorhangers, literature – no graphic images) with the neighborhoods surrounding the Southwestern late-term abortion center (the Dallas vigil location). Learn more. or call 972-267-LIFE (5433). Please note: all youth under 18 must be accompanied by a safe environment-cleared adult or parent. At 10:30 a.m., youth (with their chaperones) are invited to join a surprise, peaceful, prayerful balloon demonstration outside the abortion center. Learn more. At noon, enjoy a cookout at the Midway Rally, along with music and some great pro-life speakers, including Father Michael Guadagnoli of St. Pius X and Corinne Kelly with UTD Students for Life! Midway Rally: noon - 1:30 p.m.
Save the Date: Nov. 7 Victory Celebration, featuring Bishop Mark Seitz and former abortion provider Carol Everett! Join us for our 11th Annual CPLC Golf Classic/Bishop's Cup. To participate in this great annual event, register individually or as a foursome here. Want to save lives AND promote your business? Be a Golf Sponsor! Click here to see business promotion opportunities, starting with just $250 to sponsor a tee sign. All sponsors will be named in the program, on the CPLC website, and in other communications. Time: Registration at 11 a.m., Tee-off at 12:30 p.m.
Join Life Chain on this, Respect Life Sunday. Life Chain is a peaceful, prayerful public witness of the Christian community standing together to show the solidarity of the Christian community for life and adoption versus abortion. If you would like to participate, contact Sharron Albertson, 972-618-0400, or visit LifeChain.net. Sponsored by National Life Chain. Prayer Vigil at Planned Parenthood's "Cocktails for a Cause"
Date: Thursday, Oct. 6 Planned Parenthood is sponsoring its annual "Cocktails for a Cause" fundraiser beginning at 6 p.m. on Oct. 6. STOPP Dallas is organizing a pro-life presence outside the event. 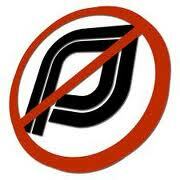 Pro-life vigil participants will arrive at 5:30 p.m., and stand vigil until 7-7:30. Signs will be provided. Hike for Life is an annual pro-life walk in various Texas locations to raise money for local pregnancy care centers and awareness of the dignity of all human life. Hikes on October 8 will be at Audubon Park in Garland, Erwin Park in McKinney, Sacred Heart Church in Rowlett, and Kiest Park in Oak Cliff (Bilingual Hike!). Click here for October 15 locations. Americans have expressed many different views about contraception and sterilization. But just about everyone has been able to agree on one thing: Government should not force anyone to act in accord with someone else's view rather than his or her own. That consensus may have ended August 1, when the U.S. Department of Health and Human Services (HHS) announced it will require virtually all private health plans in the U.S. to cover the full range of contraceptive drugs and devices and sterilization procedures, as well as "education and counseling for all women with reproductive capacity" to promote these. HHS will require this under the new health care reform law's mandate for covering "preventive services" without co-pays or out-of-pocket expenses. Even the great majority of religious organizations must comply, or stop providing health coverage. Fortunately HHS is allowing public comment on its decision until September 30. All concerned about government's respect for freedom of conscience need to raise their voices now. Continue reading. “[T]he Committee on Energy and Commerce is examining the institutional practices and policies of the Planned Parenthood Federation of America (PPFA) and its affiliates, and its handing of federal funding,” Stearns writes. “That Committee has questions about the politics in place and actions undertaken by PPFA and its affiliates relating to its use of federal funding and its compliance with federal restrictions on the funding of abortion.” Continue reading. Baby Joseph Maraachli, who drew a groundswell of pro-life support this year when an Ontario hospital refused a simple procedure that would allow him to die at home, passed away yesterday. Continue readling.